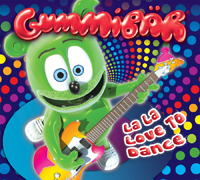 “La La Love To Dance,” the second album from internationally acclaimed animated superstar Gummibär, is loaded with 16 new songs and 3 bonus tracks of rare remixes. YouTube hit “Nuki Nuki (The Nuki Song)” is included, as well as 12 original songs, and 3 fun covers. 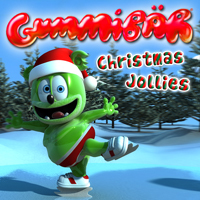 In addition, this album features the debut of Gummibär’s birthday song – “Happy Birthday Gummibär” – as specially requested by many of his young fans. With over half a billion plays and counting, the video for “The Gummy Bear Song” continues to gain popularity on social networking sites across the internet. 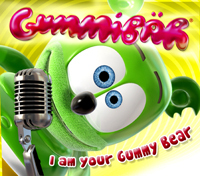 His debut CD “I Am Your Gummy Bear” remains a strong seller both digitally and physically. 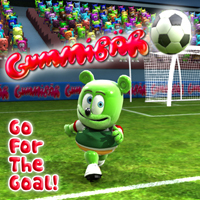 The accompanying DVD “I Am A Gummy Bear -The Gummibär Video Collection” is a strong favorite as well. Bear” (now known worldwide as The Gummy Bear Song) has met an enthusiastic response around the globe with more than 14 million plays on YouTube and MySpace video alone. 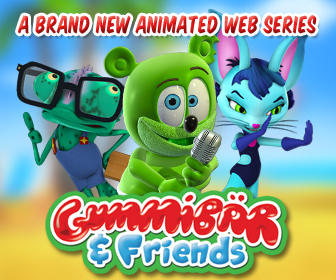 This multi-lingual hit – available in the original Hungarian, we well as English, French, Spanish, German, Portuguese, Swedish, Hebrew, Czech, Slovak, and other languages – has won the hearts of fun-loving audiences everywhere. It has gone on to hit the best seller lists in every country in which it was released. This USA release is an enhanced CD and includes exclusive bonus content not previously available in any other country as well as the full length version of the English video. 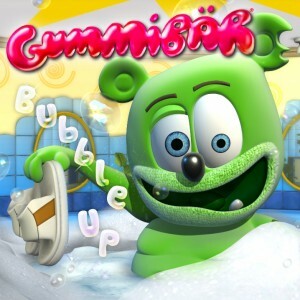 Gummybear International Inc is proud to announce the release of the Bubble Up single by Gummibär. 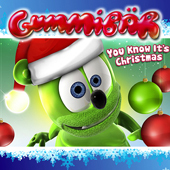 Currently only available online at iTunes or here at Gummibär’s Official website, the single includes three tracks – the video version of the song, a longer radio edit, and an even longer club mix. 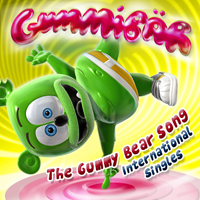 By popular demand, you can now buy all of the different international versions of The Gummy Bear Song including a special Instrumental version and a Karaoke version! Hey DJ! 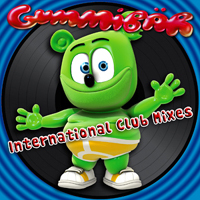 The mixes that are sweeping the International club scene are now available for download! Whether you love techno, trance, house, or just love to dance – these are for you! 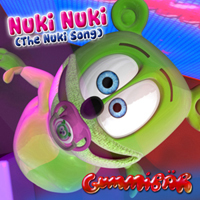 Nuki Nuki (The Nuki Song) is prominently featured on the Gummibär DVD – I Am A Gummy Bear. It is also available as a download-only single on iTunes and Amazon. In celebration of the 2010 World Cup! Some of your favorite Christmas songs!